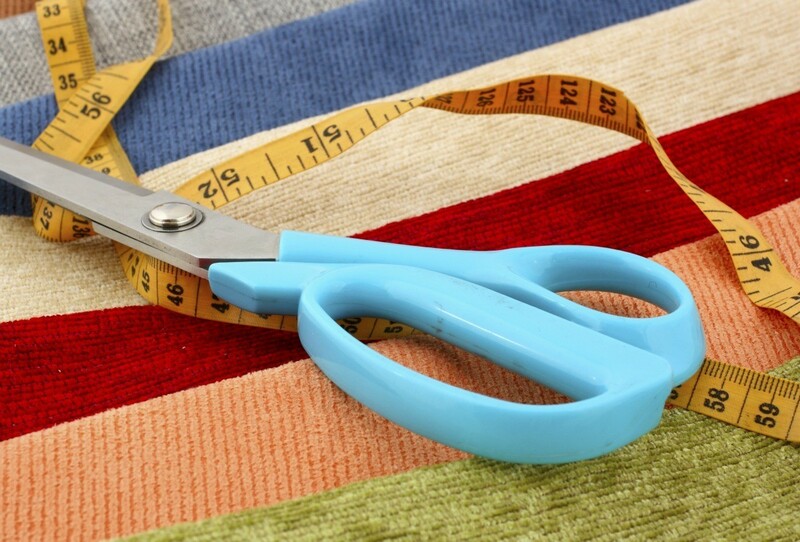 Fabric strips are used in many types of crafts, but cutting a large quantity can be slow and tiring. This is a guide about cutting fabric strips. I love to make crocheted rugs with fabric strips. I am looking for something that I can cut fabric strips with. Cutting with scissors is hurting my hand. I have to use a big industrial size Gemsey, but it lays in my closet. It is more for cutting big stuff. I just do a little personal rug making. Thanks. I am a quilter and use a rotary cutter, which is used with a special "self healing" mat. THey are WONDERFUL!! New rotary cutters now even come with ergonomic designs that enable you to cut for hours. I have a quilter's ruler, but also a simple piece of plastic (plexiglass I think) cut at a glazier's to the most common width I use. That way I just line up one edge to the line I just cut, cut again, line up again, cut again ... you get the picture. I can get through meters of fabric in no time. Angie B. Electric scissors work fine too, but can't go through many layers of fabric at a time. Keep the fabric taut while cutting. Here's JUST what you need. These tiny "machines" are made for rug makers. They may be a bit on the Pricey side, but the expense is well worth it!... You can have a strip any size you want, with just the turn of a handle! The machines can be set to cut different size strips... You can also Google "Rag Cutter". * I have a friend who makes crotched rugs. She buys old sheets from the thrift store the simply tears them into strips. No cutting required! You can also call or email these guys, as they know EVERYTHING about rug making. EVERY style & method & they also sell supplies. Black & Decker makes a cordless electric scissors that only costs $20. I bought one and use it only for fabrics. It's a little noisy, but it works great and saves wear & tear on my hands.